You are here: Home / Comics Guides / Best of Lists / The Best of Shazam – Essential DC Captain Marvel Comics! 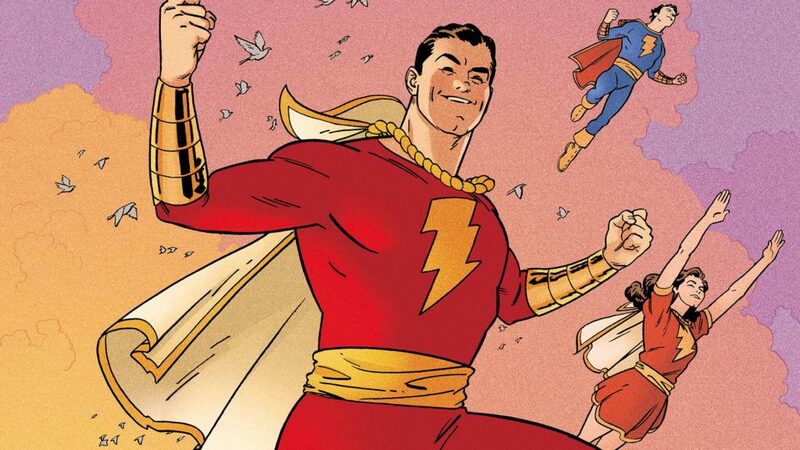 Below you’ll find my picks for the essential Captain Marvel (I just can’t exclusively call him Shazam!) comics throughout DC’s history. Geoff Johns time writing the New 52 version of Shazam! (initially as Justice League backups) is a notable exclusion from my picks, since this take on the character has seemingly become the de facto DC take of the 2010’s. There are other interesting “elseworlds” style uses of the hero (Kingdom Come, and The Dark Knight Strikes Again come to mind) that don’t really suit the character’s strengths, and won’t be included here either. Finally, I will also avoid the perhaps trollsome take that Miracleman written by Alan Moore is probably my actual favorite Captain Marvel style comic of the 80’s! 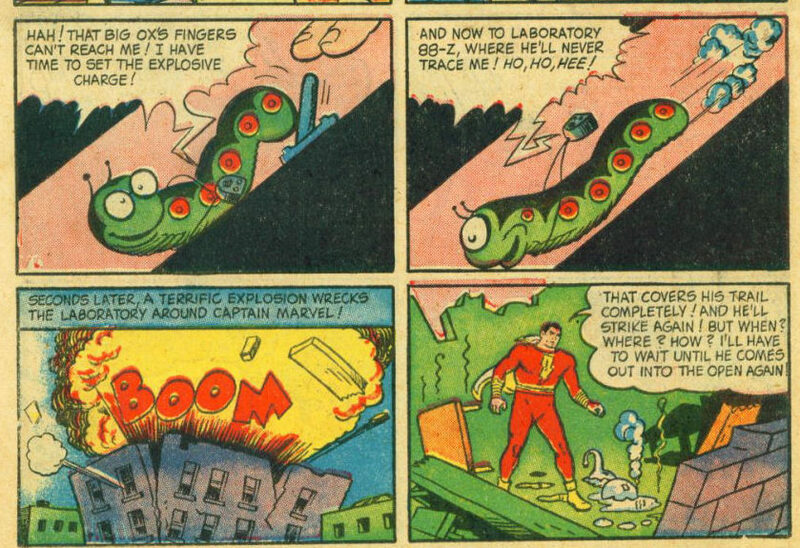 By Otto Binder and CC Beck with “The Monster Society of Evil.” I’m not sure I can stress enough how *fun* the original Golden Age Captain Marvel comics could be. There’s a reason Captain Marvel and the Marvel Family would outsell Superman throughout the 40’s, and I have to think part of it is the imagination of creative collaborators Otto Binder and CC Beck. I expected very little from this retroactive “first” Superman and Shazam team-up, but was delightfully wrong! Writer Judd Winick has strangely become one of the more underrated DC writers of the 2000’s, and this miniseries (published in the late 2000’s) is an extremely fun, all ages style take on the first time the Man of Steel met the Big Red Cheese. 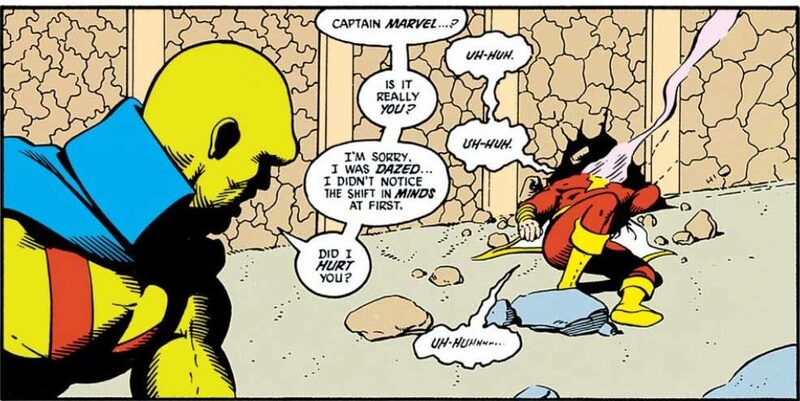 Since this occurs in the very early moments of DC’s age of heroes (Superman and Batman are getting their start, but Green Lantern and Flash aren’t even around yet), I recommend reading earlier in the Captain Marvel timeline. 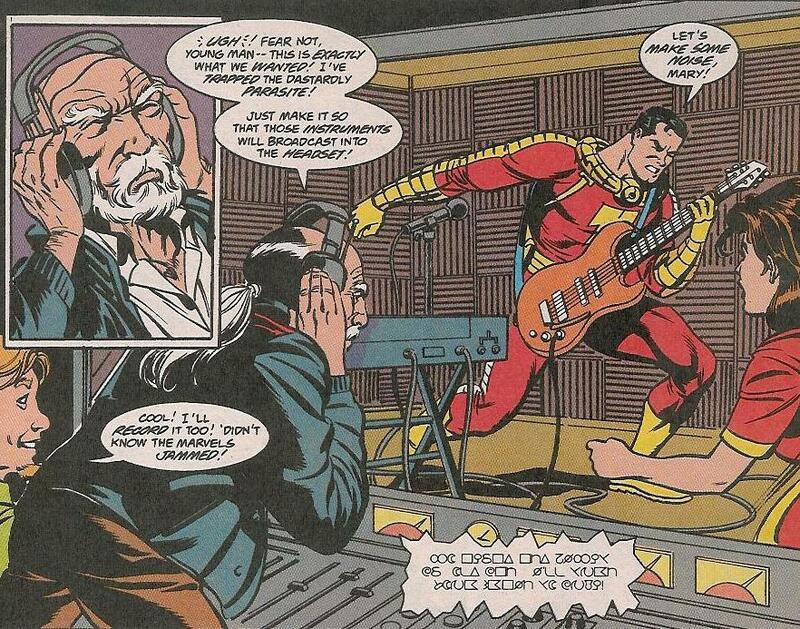 Shazam is on the post-Crisis Justice League comedy book for their earliest outings. If you want the set-up for the Big Red Cheese’s place in the newly defined DC Universe, I recommend Legends (the six issue event starring Darkseid vs. the heroes of earth has some nice Billy Batson moments) into Shazam: The New Beginning , a four issue miniseries that retells Captain Marvel’s origins. For my money, though, any excuse to read the Justice League as told by Keith Giffen, JM Demmateis, and Kevin Macguire is good enough. Captain Marvel won’t hang around the team forever, but he’s played up for the comedic effect of a kid in a muscle-bound superman’s body. 30% a nice distillation of the Captain Marvel origin and ethos, and 70% the pleasure of ogling Alex Ross’ painted art. The Jerry Ordway written and painted graphic novel leading in to one of Captain Marvel’s longest running ongoings is arguably the best entry point for Captain Marvel’s origins. I’ll be honest, I actually prefer the real Golden Age debut (it’s extremely effective), but Ordway gets extra credit for launching in to this enjoyable Power of Shazam run. Starman written by James Robinson with art initially by Tony Harris is one of my favorite DC Comics of the 90’s, and more broadly, one of my favorite 20 comics of all time! 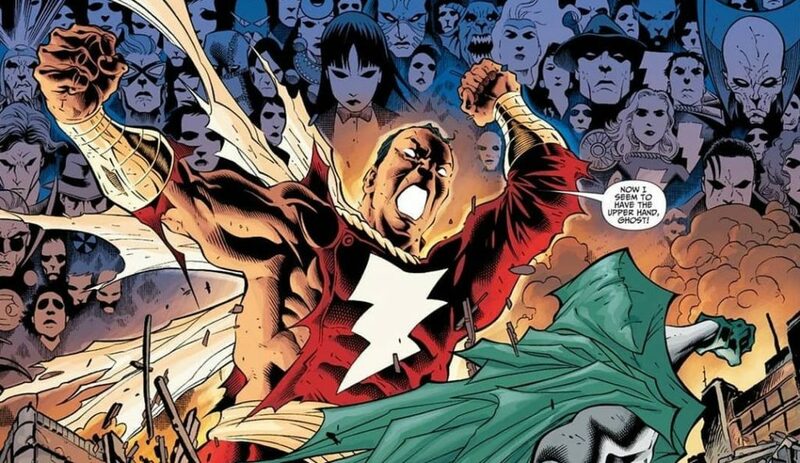 So the fact that one of Power of Shazam‘s limited crossovers connects to Starman makes for an easy pick on my essential Captain Marvel list. While it’s not my favorite, this Jeff Smith (creator of the all-time great Bone ) written and drawn book is a great all ages entry point. You get Shazam, Dr. Sivana, Mister Mind, Tawny, Mary Marvel, and perhaps most importantly, secret codes for each issue title! Unsurprisingly, Shazam works extremely well in all-ages formats geared more towards younger readers, and there are a variety of options that really seem like they should be on shelves next to the likes of Dogman. The realm of magic plays a major role in in the Day of Vengeance prelude to DC’s mega 2000’s event, Infinite Crisis. Naturally, Captain Marvel, the wizard, and the rock of eternity are at the heart of these proceedings. A little 2000’s DC background goes a long way with this one (particularly familiarity with Identity Crisis), as does a general interest in Captain Marvel’s role in Infinite Crisis. Of the preludes, Villains United is definitely stronger, but otherwise Day of Vengeance is up there with Omac Project, and definitely better than the Rann-Thanagar War. Plus, this is pretty easily some of the best Captain Marvel action of the decade. “Captain Marvel and the Day That Never Was!” By Grant Morrison, Cameron Stewart, and Nathan Fairbarn. 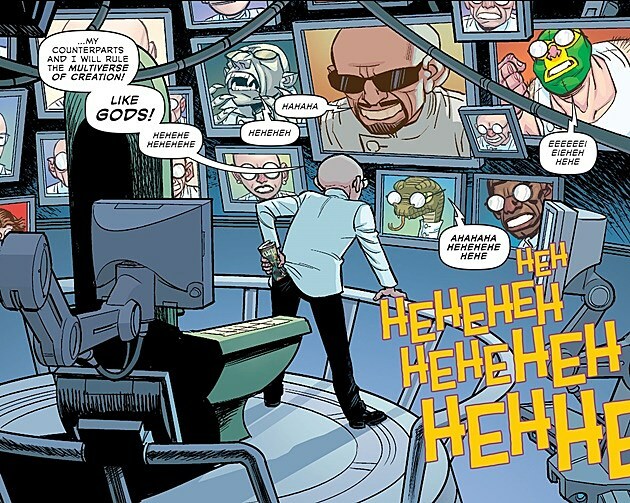 Dr. Sivana inserts an 8th day (Sivanaday) into the calendar in this glorious love letter to the entire Captain Marvel mythos. I love Morrison’s work across The Multiversity and this one-off take on the entire Captain Marvel crew is a great example why. While there are larger themes that impact the event as a whole (namely, the characters influenced by the content of a comic book! ), this issue is easy to pick up with no additional knowledge of Multiversity. Don’t get me wrong, I highly recommend you do read the whole book, but for our Captain Marvel fixin’s, it isn’t necessary. While it’s the DC event I’ve reviewed with a clip from Spinal Tap, the Jeff Parker and Doc Shaner two issue Shazam tie-in is excellent. Long story short, do not read Convergence, but do read these two issues of Shazam that tie into Convergence. I know, comics can be weird, but holy moley, are they worth it! 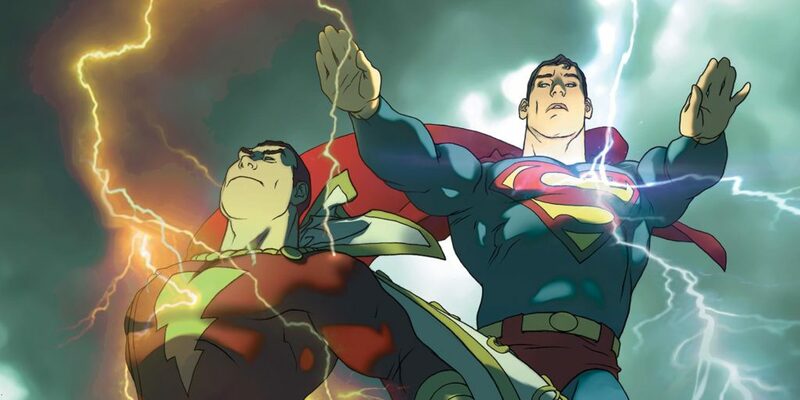 I can’t help but feel Monster of Society of Evil Shazam is hiding something: https://gutternaut.net/2019/04/comic-theory-the-double-life-of-shazam/. Hopefully one day we’ll get the original Monster Society of Evil in trade. I know they did it a while back but they go for around $500. Rumor was it was supposed to be out last year but due to some racial stereotypes from the time it was canceled. All I hear is how great it is. It would be nice to read it one day. Yeah I was bummed that doesn’t seem to be available. I really expected more Golden Age Shazam collections. To throw it out there I found out today that digitalcomicsmuseum.com has all of the Fawcett Captain Marvel stuff including the Monster Society of Evil story line. I haven’t had a chance to try it yet but it seems like you make an account and then you can download them. From my understanding this is legal because the comics are in the public domain… which makes it even more ridiculous that someone hasn’t printed it in trade yet.